Linux isn't as tricky to install as you may have heard. Fortunately, that widespread claim is absolutely false. All you really need is a compatible computer, a distribution of Linux, and either a CD/DVD or a flash drive. Read on to find out how. As each flavor of Linux handles the installation process with a slight variation, this introduction will discuss installing Linux in general ideas, not distribution-specific terms. When using an image for reference, Ubuntu Linux 18.10 will be used. 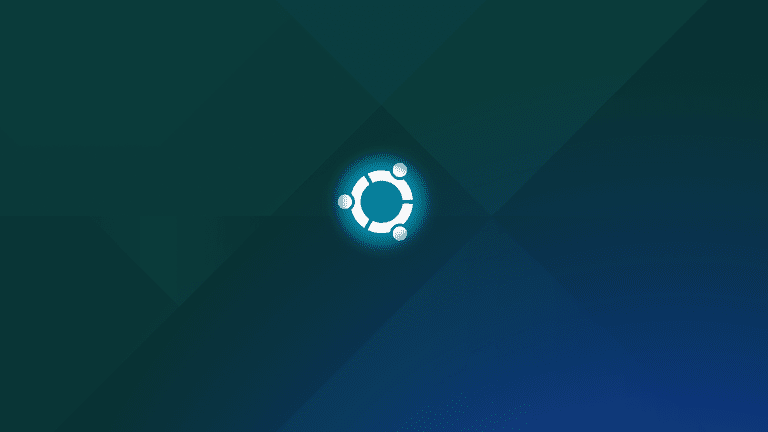 Like most Linux distributions, Ubuntu Linux can be installed on most all modern desktop hardware. With Windows and macOS, you are most likely purchasing a desktop or laptop computer with the operating system already installed. You can do this with Linux as well. System76 sells one of the most powerful (and beautiful) desktops on the market (the Thelio). But for those who don’t want to have to purchase a new machine, what do you need to install Linux? First, you’re going to need either a desktop or laptop. Either piece of hardware doesn’t have to be the latest or greatest machine. There are a number of Linux distributions (such as Peppermint Linux) that do a great job of running on older hardware. If you opt to go the newer hardware route and plan on installing a more full-featured version of Linux (such as Ubuntu Linux, Linux Mint, openSUSE, Fedora Linux, or Deepin), you’ll want to use a 64-bit machine (as some distributions no longer support 32 bit hardware). If you like the distribution. If the distribution works well with your hardware. The big question at the moment, however, is how do you boot the downloaded operating system file? Said file will come in the form of an ISO image (the file name will end in .iso). In order to use that file, you must “burn” it onto either a CD/DVD or a USB flash drive. The media you burn the image to will be dictated by your computer hardware. If your computer doesn’t have a CD drive, you’ll have to use a USB flash drive. Make sure you have a USB drive that has at least 4GB of free storage. To burn the .iso image to the USB drive, you must use a program like UNetbootin. This app can be installed and used from Windows, macOS, and Linux. With UNetbootin, you can select the distribution you want to run from the flash drive (from the Distribution drop-down), or select your own, downloaded, disk image. Once you’ve selected the distribution, choose USB drive from the type drop-down, and then select your USB drive from the Drive drop-down. With all of that taken care of, click OK and the distribution will be added to the flash drive. This does take some time, so have patience. The next step is to insert the USB drive into the computer on which you want to install Linux. You will have to access your computer’s boot menu. How you do this will depend upon the computer in question. You can find this out by googling the make and model of your computer and boot menu. Say, for instance, you have a Dell XPS 13. Google “How to access Dell XPS 13 boot menu” and you should find instructions on doing this. With some distributions, during the boot process, you’ll be asked if you want to try or install the operating system. To run the live distribution, select the Try option, which will load the full desktop, only running from the flash drive instead of your hard drive. You can then start using the live distribution as if it were installed on your hard drive. If you find the distribution to your liking, click on the Install entry (which will either be on the desktop or in the desktop menu, depending upon which distribution you’re installing). This will begin the installation process. Encrypt the new Ubuntu installation for security. Use LVM with the new Ubuntu installation. If the installation detects a previously installed operating system (such as Windows), it’ll ask you if you want to install alongside Linux. This is called “dual booting.” If you want to keep your Windows or Mac operating system (and select between them at computer startup), you’ll want to choose that option. Most likely, stick with the default (Either install alongside Windows or Erase disk and install Ubuntu). You will also be asked to select a time zone, and create a new user. When the installation finishes (it should take about 5-10 minutes, depending upon the speed of your hardware and internet connection), reboot the machine, remove the USB flash drive, and wait for the login screen to appear. When prompted, log into your newly installed Linux operating system and enjoy!